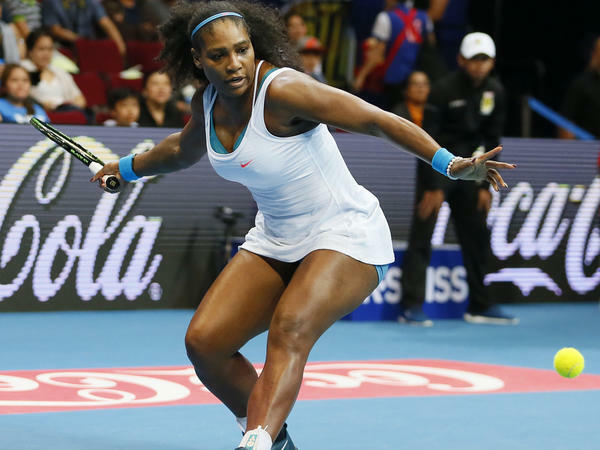 Serena Williams is Sports Illustrated's 2015 Sportsperson of the Year. "Williams, 34, won three major titles, went 53–3 and provided at least one new measure of her tyrannical three-year reign at No. 1. For six weeks this summer—and for the first time in the 40-year history of the WTA rankings—Williams amassed twice as many ranking points as the world No. 2; at one point that gap grew larger than the one between No. 2 and No. 1,000. Williams's 21 career Grand Slam singles titles are just one short of Steffi Graf's Open-era record. Such numbers are reason enough for Sports Illustrated to name Serena Williams its 2015 Sportsperson of the Year." Williams is the first black woman to win the award solo. Much of the online outrage centered on the fact that Sports Illustrated had polled readers about whom they thought deserved the award, and American Pharoah received the most votes. In reality, the poll had no bearing on who would actually be honored. "SI states that the sportsperson of the year award goes to 'the athlete or team whose performance that year embodies the spirit of sportsmanship and achievement.' That puts American Pharoah at a clear disadvantage since horses can't really display sportsmanship." The comparison also harkens back to the 1940s when black Olympic athlete Jesse Owens raced against horses to make money. "At the 1936 Olympics, he brought pride to America and shattered Adolf Hitler's claim of Aryan superiority by winning four gold medals in track and field. However, racism existed in America, and there were no endorsements and very few meaningful job opportunities for Owens, an African American. He found that he needed to turn to carnival-like gimmicks to earn a living." On Monday, Sports Illustrated published another article, explaining that the decision to choose Williams was based not just on her impressive record but also on her endeavors off the court, including her willingness to confront social issues. "We are honoring Serena Williams too for reasons that hang in the grayer, less comfortable ether, where issues such as race and femininity collide with the games. Race was used as a cudgel against Williams at Indian Wells in 2001, and she returned the blow with a 14-year self-exile from the tournament. She returned to Indian Wells in '15, a conciliator seeking to raise the level of discourse about hard questions, the hardest ones, really." That is something American Pharoah could never do.